Have you heard the good news? There is a new baby giraffe at the Philadelphia Zoo! His name is Beau and he was born Sunday, June 10th to Stella and Gus. Beau joins sister Abigail, born in 2010. Two baby giraffes – one English-speaking and one Spanish-speaking – meet one day and discover that, language barrier aside, they have a lot in common and soon become best friends. These endearing characters are back for a new adventure in How are you? = ¿Cómo estás? In which they now meet a baby ostrich and must guess how their potential new friend is feeling. 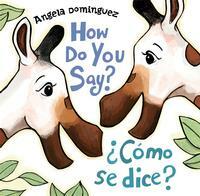 Both books are perfect read-alouds and ideal for those learning English or Spanish. It all started with One Word from Sophia, a charming picture book about a undaunted and loquacious little girl determined to convince her family to give her the pet she had always dreamed of—a giraffe. 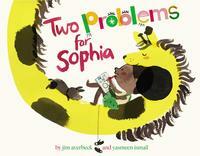 In this sequel, Sophia is delighted to have Noodles, her affectionate pet giraffe. 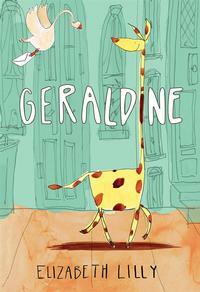 But Noodles comes with giraffe-sized problems and it’s up to Sophia to find a solution that will please everyone. Geraldine is moving and she’s not happy about it. Not one little bit. She misses Giraffe City and feels out of place in her new school. It doesn’t help that she is the only giraffe there. But then Geraldine meets Cassie, another student who feels that she doesn’t fit in, just like Geraldine. Now they have each other, and perhaps, much, much more. Visit your neighborhood library to find these books and more! 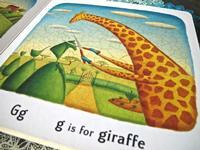 Do you have a favorite giraffe book? Let us know in the comments!